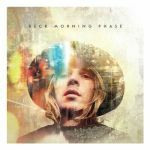 I'm not familiar with a great deal of Beck's work but from what I know I wasn't expecting something as laid-back as this. I really enjoyed it more than I thought I would because of that, the sound certainly appeals to me. It's not a majorly wonderful album for me or anything, but it's the sort of thing I can listen to and enjoy easily. Gratulation zum Grammy 2015 für das beste Album und das beste Rockalbum des Jahres. danke an die Grammy-Verleihung!<br>Ohne diese wäre mir das Album komplett an mir vorbeigegangen!<br>Ich empfinde dieses Album eine Mischung aus sanftem Rock und Ambient ... also sowas wie Ambient-Rock - klasse Album!